Last week we talked about the largest tree in Texas, the champion pecan tree in Weatherford. Today a step up. 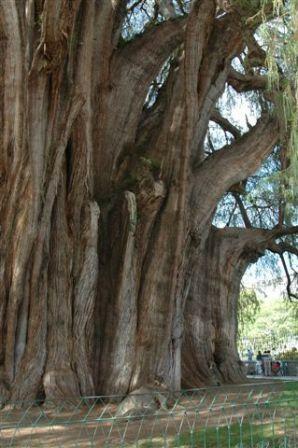 There is a Montezuma cypress (Taxodium mucronatum) in Oaxaca, Mexico that I have wanted to see for a long time. My wife, two friends and I got to see it two weeks ago. It is so large and magnificent, the photos don’t really do it justice. 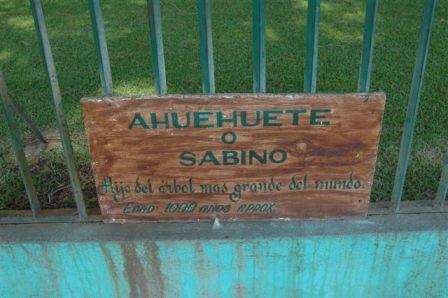 Here is the information on a tree worth going to visit. Arbol del Tule, Santa Maria del Tule, Oaxaca, Mexico. Santa Maria del Tule is in a churchyard in a small town about 10 kilometers (6.2 miles) southeast of the city of Oaxaca on Highway 190 toward Mitla, the location of some interesting Zapotec and Mixtec ruins. The Tree of Tule is thought to be between 2000 and 3000 years old, making it one of the oldest living things on earth. It has a circumference of 54 meters (164 feet) -- which means its trun diameter is 52 feet. This tree was a sapling at the time when the civilization at Monte Alban was flourishing. In addition, the tree is symmetrical and very healthy although that hasn’t always been the case. Some years ago the main road ran right beside the tree. The heavy traffic and vehicle exhaust caused the tree some serious health problems. The road was rerouted and now the tree is flourishing again. 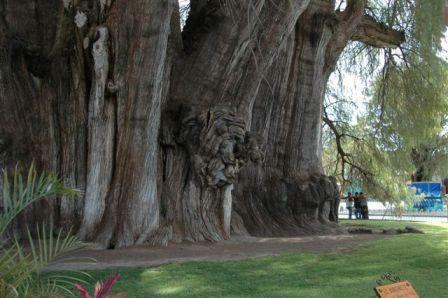 It is Mexico's most famous tree, and some say the world's largest single biomass. The cypress, known in Spanish as ahuehuete, is Mexico's national tree. According to legend, Hernan Cortes cried beneath the boughs of a cypress after the Aztecs defeated the Spanish on La Noche Triste (The Sad Night). Click here to see more photos of this wonderful tree. The town of Santa Maria del Tule takes its name from the famous tree and boasts not just one, but seven extremely large and ancient cypress trees. 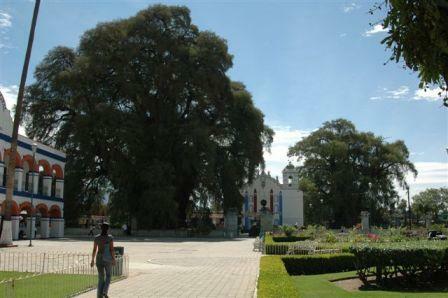 The “Son of Tule” is a gigantic cypress and is on the right of the church in the shot above. Although cited as having the largest trunk circumference in the world, some have argued that it might actually consist of the fused trunks of several different individuals. DNA samples from the tree using random amplified polymorphic DNA indicates that it is in fact a single individual (Dorado et al. 1996). The tree is nicknamed the "Tree of Life" for all the images of animals that are reputedly visible in the tree's gnarled trunk. As part of an official project, local school kids give tourists a tour of the tree and show all manners of creatures that the tree trunk's features form, including jaguars and elephants.